GOT7’s MV of ‘A’ surpassed 100 million views on YouTube. The music video for "A" by the group GOT7 has surpassed 100 million views on YouTube. GOT7's "A" MV achieved 100 million views on YouTube around 0:55 on 21. "A" MV's achievement of 100 million views proved GOT7's hot global popularity once again with GOT7's "Just Right," "Never Ever." 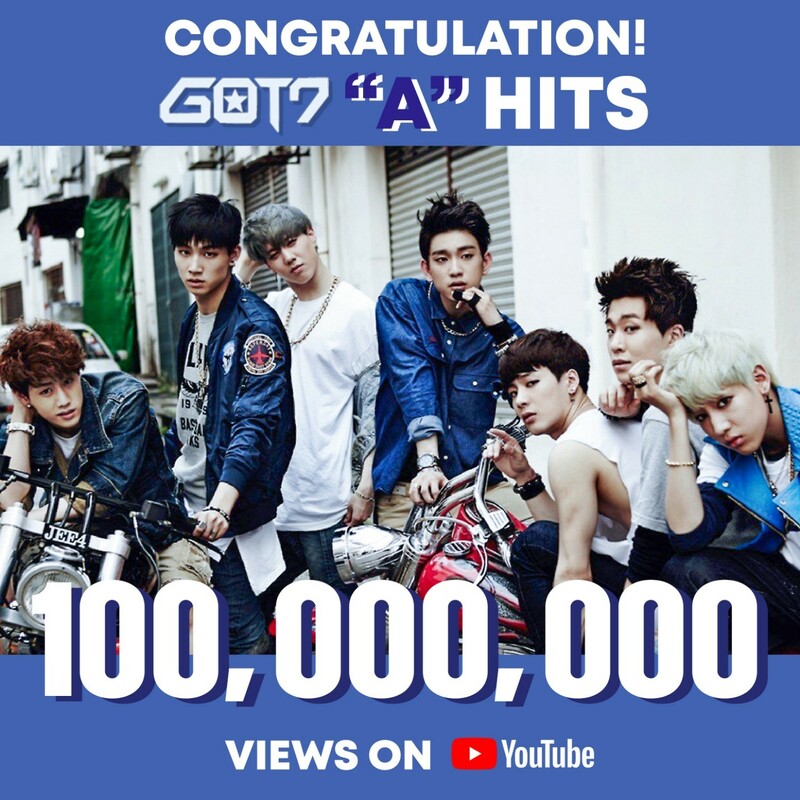 In response, JYP Entertainment posted an image to commemorate the 100 million views of "A" MV on its official social networking site and thanked Korean and foreign fans for their enthusiastic support. "A" is the title track of "GOT♡," the second mini-album written and composed by JYP's chief producer Park Jin young, and is a song that features the members' seven-color overflowing charm and energy. GOT7 won the K-pop Artist of the Year (KPOP ARTIST OF THESE YEAR) award for the second consecutive year at the JOOX THAILAND MUSIC AWARDS 2019 (JTMA 2019), which was held on the Tencent streaming platform JOOX.